When boiled down, every Paul Thomas Anderson movie is about an outsider looking in. ‘Boogie Nights’ is about breaking into a scene. ‘Punch-Drunk Love’ is all about sitting outside normal human relationships and peering in. ‘The Master’ is a search for direction and place to belong. For a filmmaker who thrills at confronting personality flaws and revels in creating chaos in the ordinarily mundane, ‘The Master’ almost feels predictably clear-cut to that end. 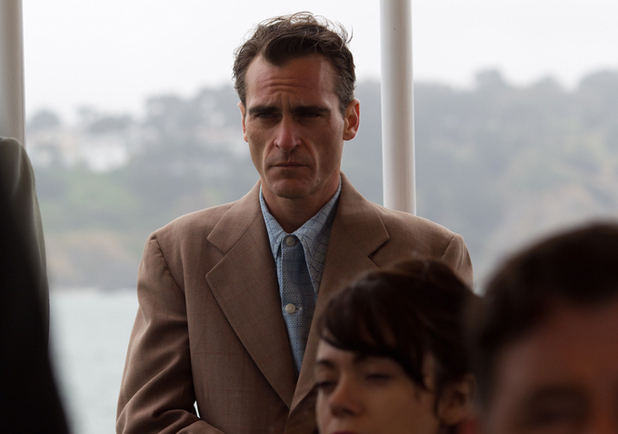 A thinly-veiled examination of Scientology and a L. Ron Hubbard-like cult leader, ‘The Master’ follows Anderson’s most flawed and volatile character yet— Freddie Quell (Joaquin Phoenix – ‘Walk The Line’, ‘I’m Still Here’). After returning home from serving in World War II, Quell wanders from job to job, searching for direction. He finds it in a chance encounter with the charismatic and articulate ‘doctor’ Lancaster Dodd (Philip Seymour Hoffman – ‘Doubt’, ‘Synecdoche, New York’), head of a new quasi-religious movement and author of dubious related texts. The pair fuel each other’s needs – for Quell, a sense of direction and something to believe in; for Dodd, a love, a muse and a loose character he’ll never let himself be. Phoenix undergoes a monstrous and sometimes unrecognizable transformation. His posture alone will have you straightening your back mid-scene. Phoenix’s Quell is an unstable man, fuelled by self-loathing and abject alcoholism. His character’s darkness reaches beyond even the calculating madness of Daniel Day Lewis’ Daniel Plainview in ‘There Will Be Blood’. Both films share the same explosive moments of anger and violence, but unlike Quell, where it comes out of the blue, we see the build-up early and the outbursts increase in frequency. As fodder for extreme performances, Paul Thomas Anderson (who also penned the screenplay)’s word-perfect exchanges are brilliant and provocative. Phoenix delivers— well, he delivers, full-stop. He embodies this simple-minded and maddened man, from the side-of-mouth drawl to the bag-of-bones slouch. When he explodes into balls of anger, it’s palpable and frightening. Phoenix’s abilities, under Anderson’s direction, flow out. This is unquestionably an Oscar-worthy role here. Always dependable, Seymour Hoffman chews the scenery in much the same way that Day Lewis did in ‘There Will Be Blood’. He rarely comes unglued to the point where he distracts; Anderson keeps him in the boundaries – yet still pushes against them. Whereas Phoenix comes to this performance naturally, it feels like more of a stretch for Seymour Hoffman; one’s Oscar material, the other’s baiting. Putting the two together in any scene is almost too much to handle, to that end. The strength of both performances creates a magnetic point that you won’t be able to pull away from. Two opposing forces, swirling around each other and colliding like a storm-front, and we’re caught in the middle. I feel like this still captures the typical audience reaction to ‘The Master’ perfectly. It’s almost a shame that the tale itself feels unfocussed – intentionally or otherwise. There are few conclusions drawn, as if ‘The Master’ actually has very little to say for all the bluster along the way. 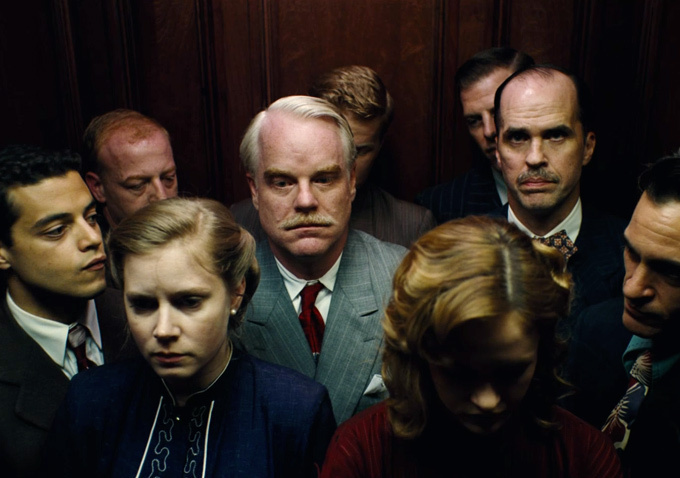 Even if ‘The Master’ is just a vehicle for the performances, I’d wager they’re so fine that you won’t mind the winding, meandering storytelling and the occasionally lax pace. Is it a masterpiece? It certainly has the pedigree, but there’s still a sense that ‘The Master’ lacks the overall cohesiveness of storytelling that we’ve come to expect from Anderson. Like his previous work, this is a character portrait—but it’s more a portrait than it is a compelling narrative. That’s not to say this isn’t excellent filmmaking—it’s heady stuff – and still far better than most of the swill that passes for fine filmmaking. But when you’re in that top echelon of screen creation, the jump from 4 to 5 stars is more pronounced – and arguably harder to attain. Not that any of this should worry you if you’re specifically a Paul Thomas Anderson fan; any unevenness is a footnote on a page of fine writ. Those expecting to be shocked and charmed and pushed around will get it; everyone else might leave feeling winded and a little confused. Good. It’s probably what you need.